Send gourmet food, fruit, gifts and gift baskets to Los Angeles, California for holidays and all gift-giving occasions. Gift baskets themes include such occasions as birthday, get well, new baby, thank you, sympathy, housewarming, corporate and personal events. Los Angeles, CA is the county seat of Los Angeles County with an estimated population of 3,819,951 as of 2003. The origins of Los Angeles, CA date back to a Spanish settlement that was called "Reina de los Angeles" or "Queen of the Angels." An explorer named Gasper de Portola established missions in Northern California in 1769, but early settlers had difficulties with poor harbors, isolation and a lack of water in the area. During the mid-1800s, the town became a rough area of violence between Mexicans and Anglos. When the Southern Pacific rail line was complete in 1872, Los Angeles, CA saw an improvement in development and economy. With industries such as cattle, automobiles, citrus, oil and movies, Los Angeles, CA experienced several growth spurts that eventually led to it being the second largest city in the United States. Probably one of the most well-known aspects of Los Angeles, CA is its district of Hollywood. Hollywood is located northwest of the downtown area and is center of the movie industry. Though much of the film industry has spread into surrounding areas such as Westside and Burbank, Hollywood is still the heart of movie creation, where effects, lighting, props and editing take place through various companies. Los Angeles, CA is home to several well-known ball teams: Lakers (NBA), Dodgers (NL), Kings (NHL), Clippers (NBA), Galaxy (Major League Soccer), Sparks (WNBA) and Avengers (Arena Football). Visit the Los Angeles Zoo - The Los Angeles Zoo has exciting animals such as snakes, birds, goats, elephants, camels, bobcats, bears, alpacas, porcupines, rhinoceros and many more! There are also fragrant botanical gardens to brighten the day. The zoo has much to offer for educational tours or just plain fun for the family. See Art from around the World - For art fans, the Los Angeles County Museum of Art (LACMA) has more than 150,000 pieces from all over the world. Its collection is often considered to be the most comprehensive in the western United States. There is a variety of American, Islamic, Latin American and Southeast Asian works at the museum - art for all tastes! Other historic sites in Los Angeles, CA include the Getty center, Natural History Museum of Los Angeles County, Museum of Tolerance and the Autry Museum of Western Heritage. Los Angeles, CA also offers several historic adventures where tourists can learn about the history and cultural diversion of the city. The regions with historic metro adventures include downtown Los Angeles, Broadway Corridor, Canoga Park, Chinatown, Little Tokyo, San Pedro, original Farmers Market and Wilshire. Other great places to visit while in Los Angeles, CA are Griffith Park, Will Rogers State Beach, Echo Park, CBS Television City and the Getty Center. Neighboring cities of Los Angeles include Pasadena, Manhattan Beach and Torrance. For more information about moving to Los Angeles, California or tourism visit the official website for the City of Los Angeles. A gift basket is usually filled with goodies such as gourmet foods, inspirational booklets or CD's, and other small gift items like coffee mugs or scented candles. 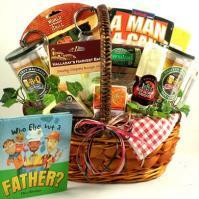 The gift basket provides a remarkable way to say "I care" while also differing from ordinary gifts. * Mother's Day: Many mothers love getting baskets full of goodies and relaxing pamper spa bath and body gifts! If your mother has grandchildren, she can share a candy or cookie gift basket with the kids. * Teacher's Day: Instead of an apple, impress your teacher or your child's teacher with an intriguing gift basket. She can sit it on her desk and grab a snack whenever the urge hits! * Get Well Gifts: A big, beautiful hand delivered gift basket filled with fresh fruit makes a terrific get well gift for someone who's under the weather with an illness. They can munch on the treats during those long, boring days spent in the bed. Friends and family members can benefit as well. * Gifts for returning thanks: Gift baskets make great gifts for returning thanks when someone has helped plan or perform an important event. An example of this would be gift baskets for a bridal shower or the bridesmaids of a wedding. Other popular California cities Adorable Gift Baskets delivers to include Anaheim, Long Beach, Oakland, Sacramento, Fresno, Glendale, San Diego, San Francisco, San Jose, San Luis Obispo and more.